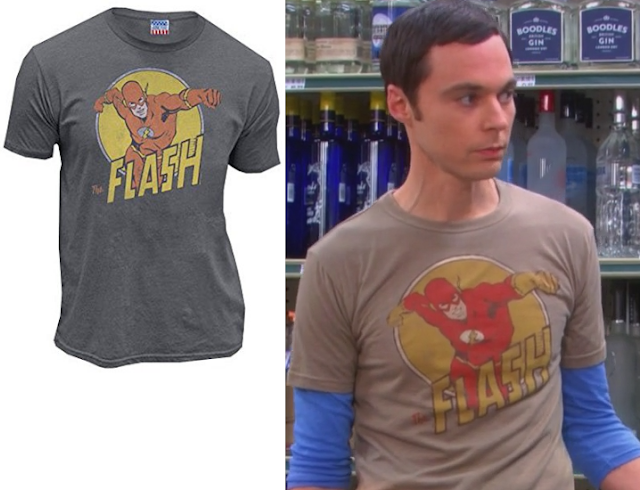 Here it is, the very first shirt that Sheldon Cooper is ever seen wearing on The Big Bang Theory. It's a vintage-looking t-shirt sporting none other than one of Sheldon's favorite superheroes, The Flash. 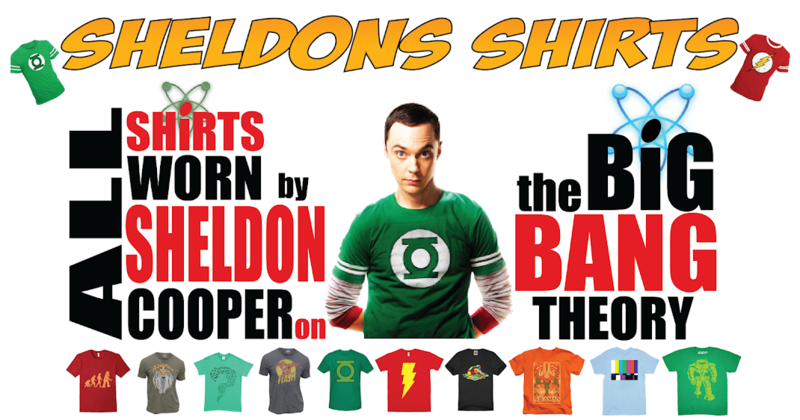 Ironically, in the first scene we're introduced to Sheldon (while he's wearing this shirt), he's explaining to Leonard an idea for a cool new t-shirt design having to do with the double-slit experiment. Sadly, that planned shirt never appeared to come to fruition. But this one has! And you can purchase it from the Amazon link below. S10 E07: "The Veracity Elasticity"
S12 E04: "The Tam Turbulence"